The Zone Continuum: Legacy Average 0.00/5 - out of 0 total votes. 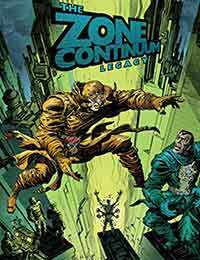 Revisit The Zone Continuum, Disney animator Bruce Zick’s original sci-fi noir opus, with this first-ever collection of the entire four-issue Caliber Press run, with dozens of pieces of bonus material! * Bruce Zick’s animation career included such iconic projects as The Lion King, Batman: The Animated Series, and The Real Ghostbusters! * Superheroic drama in a complex sci-fi setting!